Do you sit in front of the computer most of the day? 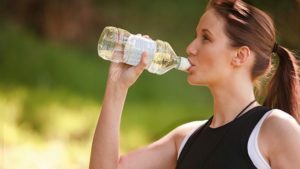 Do you get tension headaches, neck pain, and sore chest muscles? This is a result of repetitive forward head movement that can be from typing, reading and looking down to write. Excessive forward head posture puts strain on your neck and shoulder muscles. Perform the pectoralis stretch below to decrease strain to your neck and shoulder muscles. Stand in a doorway and place your arms about 90 degrees along the sides of the door frame. Step through the door frame until you feel a stretch across your chest. Hold the stretch for 20 seconds. Alternate your foot forward with each stretch. What is the Difference between a Physical Therapist and Chiropractor? Have you ever wondered whether you should see a Physical therapist or a Chiropractor for your symptoms? Check out the descriptions below to learn the differences and which type of provider you should see depending on your injury. A physical therapist performs an exam of an individual’s impairment, disability or functional limitation by examining their movement, affected joints and tissue, neuromuscular imbalances and misalignment. They determine a diagnosis and intervention of treatment and set treatment goals. Physical therapists work to alleviate pain, restore range of motion, regain any function lost, promote and maintain fitness and prevent further injury. The physical therapist may use heat/cold, electric stimulation, ultrasound, soft tissue mobilization, stretching, exercise and other manual techniques to reach treatment goals. There are many different specialties/settings in physical therapy. Examples of this are outpatient, women’s health, acute care, sub-acute care, sport, and neurological. An average physical therapy treatment program consists of the patient attending physical therapy 2 times a week for 4 to 6 weeks. The end goal for a physical therapy treatment program is to decrease the patient’s symptoms and educate the patient on how to prevent their injury/symptoms from recurring through continued exercise. A chiropractor concentrates on musculoskeletal and systemic disorders through a controlled manipulation of the spine. Some chiropractors perform x-rays of the spine to check for misalignment. Chiropractors look to the physiological and biochemical aspects of the patient’s structural, spinal, musculoskeletal and neurological components. They also may use heat/cold electrical stimulation and ultrasound for pain control. Chiropractors practice in a private practice setting and occasionally you can find them staffed in a hospital setting. In the state of Maryland, Chiropractors can take an exam to receive physical therapy privileges. 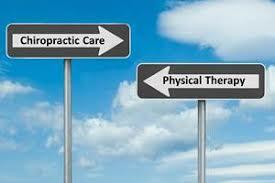 Therefore, you might see a facility advertising chiropractic and physical therapy services together. However, be mindful that most of these facilities only employ chiropractors. A chiropractic treatment program on average is once a week and then tapers down to once a month for a long period of time. Chiropractors typically see their patient consistently for sometimes years to continue to assess for misalignment of the spine to manipulate. If you are wondering what practitioner you should see for your injury, it is always beneficial to see a physical therapist. I typically educate my patients that you should always see a physical therapist first as we are more conservative than chiropractors. Physical Therapists are able to increase strength/range of motion of a muscle/joint which in turn naturally corrects misalignment of the spine. If you have not reached your goals with physical therapy, then try your local chiropractor. 1. Adjust your chair height so that your feet are flat on the floor. Use a footrest to assist. 2. Keep your wrist posture neutral. 3. Keep your monitor between 20 and 40 inches from your face. 4. Adjust your monitor so that the center of the screen is at eye level. 5. 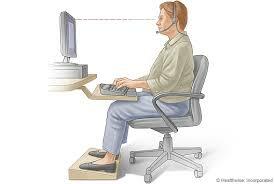 Place your keyboard so that your upper arms are perpendicular to the floor. 6. Adjust your chair to keep your body supported in an upright position. 7. 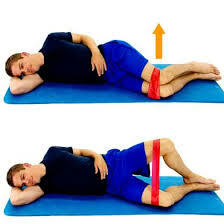 Adjust your back rest to target the lumbar region of your spine. 8. Keep your work within 16 inches of your body. If you are unable to achieve an ergonomic workstation on your own, Harbor Physical Therapy can help! Our Physical Therapists are able to assess your workstation sitting posture and transform it into an ideal sitting posture for your workstation to decrease strain on your joints. Wellness Event- October 2, 2018 at HPT! Join Charm City Run, CITYFIT, and Harbor Physical Therapy for a FREE Wellness event at Harbor Physical Therapy. The event will include a dry needling demonstration and dry needling sessions with Dr. David Reymann, injury screenings with Dr. Amanda Macht and Dr. Holly Hibbard, Running Gait Analysis with Charm City Run, Yoga and Circuit training. You will be able to cycle through the different stations to enjoy all the complimentary services being offered by locally owned Baltimore businesses. If you are driving to this event, we will be validating parking in the Harbor Court Garage on 10 East Lee Street for a discounted rate of $3.